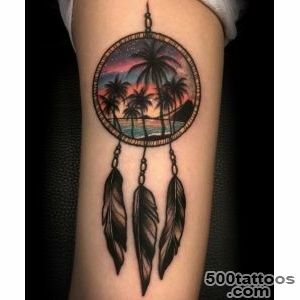 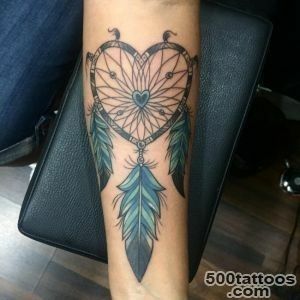 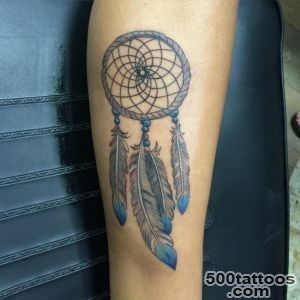 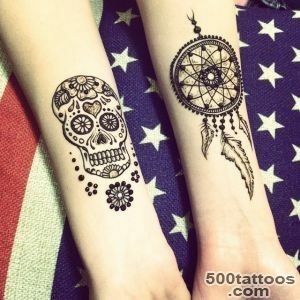 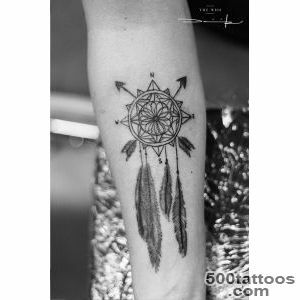 Among Native American tattoos, there are many beautiful and rich with meaning, but Dreamcatcher became so to speak the hallmark of Indian style tattoo. 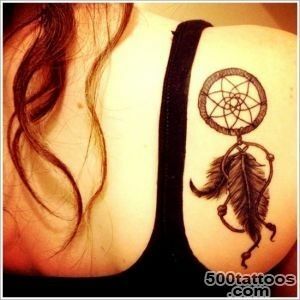 He more than others attracts attention with its mystery and brilliance. 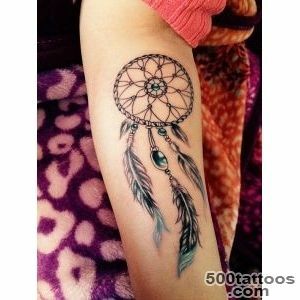 Dream Catcher combines the top of the beauty and diversity of the Indian -style tattoos and incredible meaning,that is, a symbolic sacred significance. 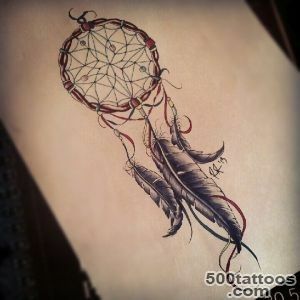 By itself, the symbol of Dreamcatcher is a famous and powerful talisman Indian talisman consists of web, placed in a circle and feathers tied to it. 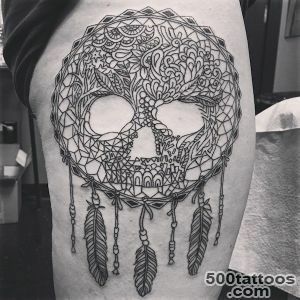 Sometimes even in the web of braided wooden beads, twigs vines, and other traditional Indian symbolsfeathers number can be from one to three, they, too, are not seldom decorated and painted with different colors. 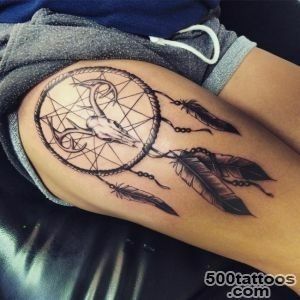 Ancient Indians wove this amulet from willow branches and reindeer lived or conventional threads, and decorated it with feathers of an eagle or an owl. 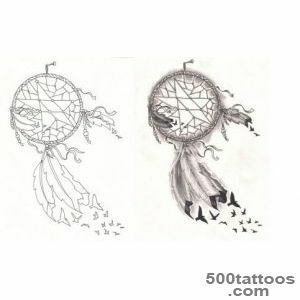 They hang a talisman, as a rule, over the head of the bed, or simply in the bedroom, and the essence of his purpose was thatto scare away bad dreams. 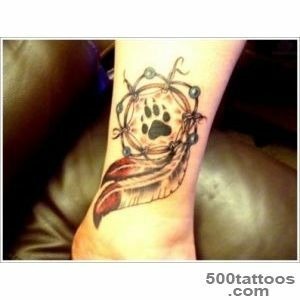 Later it began to wear with them, but as a national Native American tattoos. 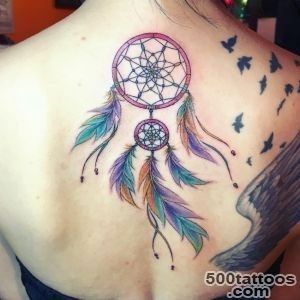 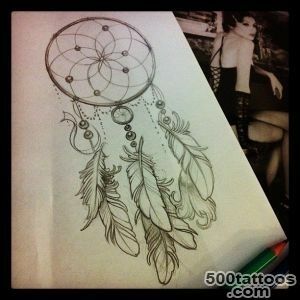 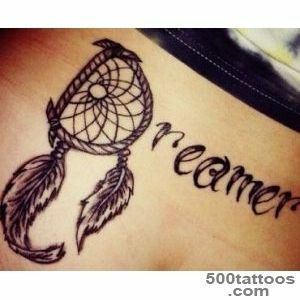 Meaning tattoo Dreamcatcher is explained as follows: in the gossamer amulet catches all the negative thought forms and dreams, leaving only the good and positive. 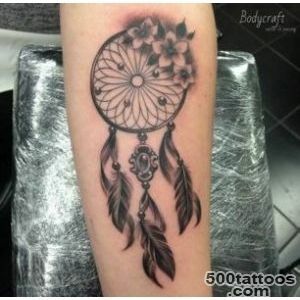 Thereby allowing a person to enjoy a restful and sound sleep. 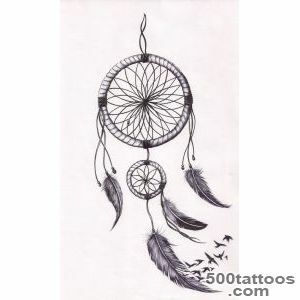 Evil spirits,Indians believed that, too, could not get close to the man because of the protective power of the catcher. 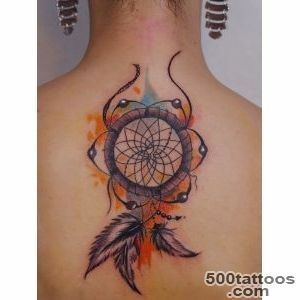 Often in the tattoo Native American dreamcatcher image combined with images of totem animals - bears and wolves, so the center of the circle can be found bear the imprint of paws or wolfish grin.Dreamcatcher tattoo done also in Siberia, but there is this amulet is mainly used shamans and priests in order to better see and understand and remember their visions in a dream. 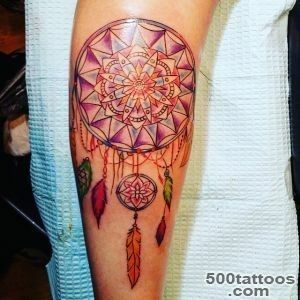 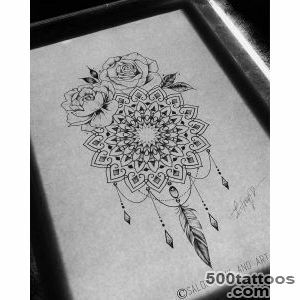 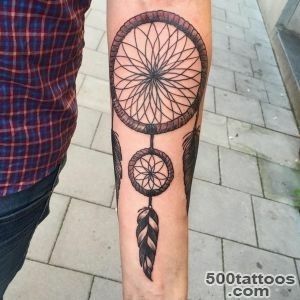 In modern practice Dreamcatcher not too rarely do, in order to promote their domestic efforts in the knowledge of themselves and acquire spiritual inner experience.Therefore, the general attitude of people in this tattoo steeped respect and caution. 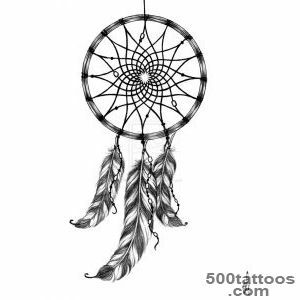 In addition Dreamcatcher attract attention to themselves by the bright colors of Indian style and its variety - lots of variations of image talisman. 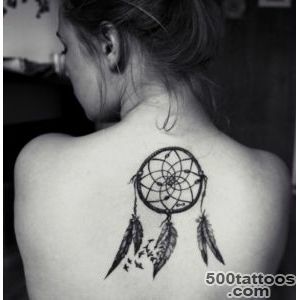 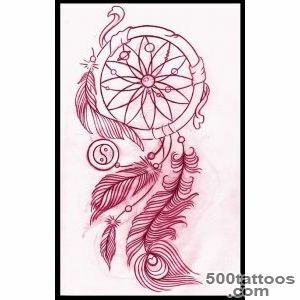 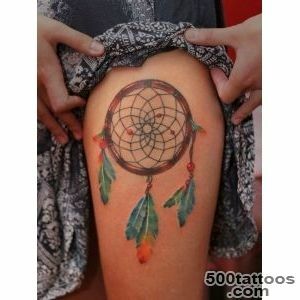 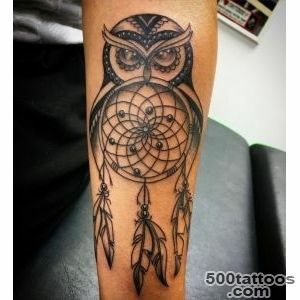 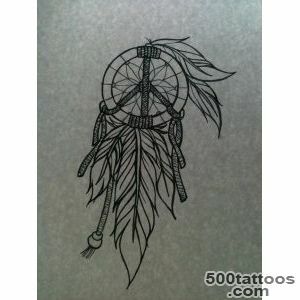 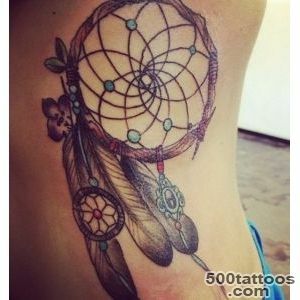 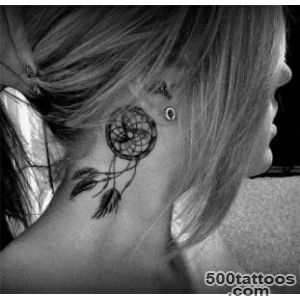 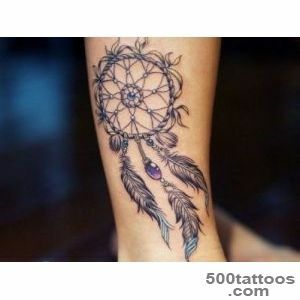 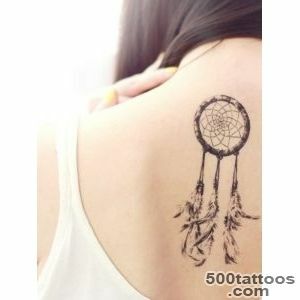 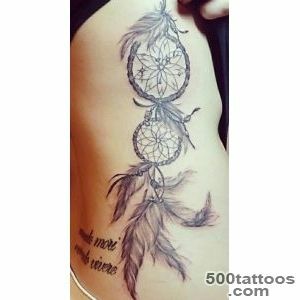 Dreamcatcher Tattoo advised to do on the neck or on the shoulder, in order to make it as close to the head,and that makes all the dreams and thoughts. 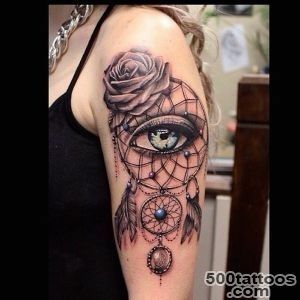 It should be noted that the protective power of this tattoo is not possible without a deep knowledge of its nature and undoubted faith in the reflection properties of the evil forces. 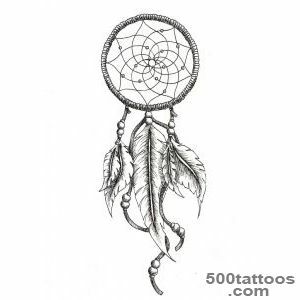 This symbol Charm is often used for jewelry - necklaces, earrings and bracelets.Meaning Dreamcatcher tattoo does not lose its essence through the eras and centuries, and is always a popular and desirable.